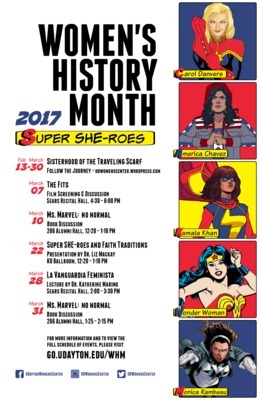 Course design project for University of Dayton's Women's Center celebrating Women's History Month. First place winner: Margaret Murray. Commercial use or distribution of this resource is not permitted without prior permission of the copyright holder. Please contact the University of Dayton Women's Center to inquire concerning available permission to use this image.